Advocates for Justice and Education was founded in 1996 by DC public school parents seeking educational justice for students with special needs. Nearly 20 years later, AJE is still governed and led by parents. Its mission remains focused on increasing public awareness of the state of special education in the District and its consequences and on empowering youth and parents to be advocates for appropriate education. Weadé Wallace, AJE’s deputy director, joins the Education Town Hall to discuss the organization’s work and the state of special education justice in DC. Listen live via TuneIn, 11 a.m. Eastern, Thursday September 4. Introduce legislation to expand Common Core to ensure students are offered educational options which allow them to explore different interest. Ensure that standard supportive services (i.e. school library resources, nurses, etc.) are in place at least 3 weeks prior to the start of the school year. Listen at 11:30 a.m. Eastern to hear about these and Jones’ other ideas for DC schools. 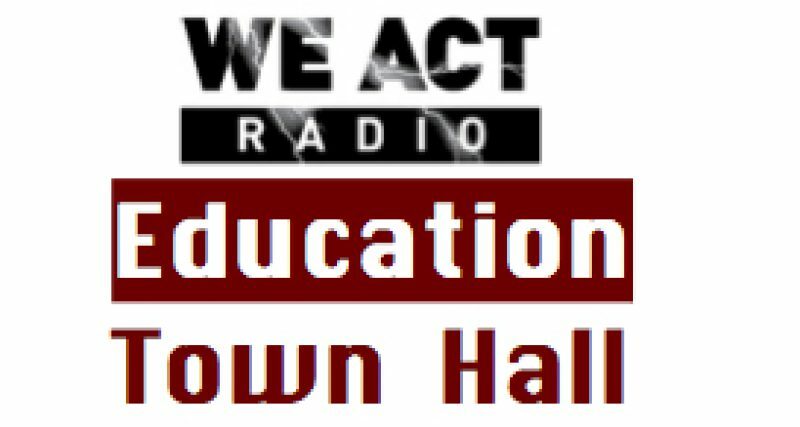 The Education Town Hall airs Thursdays at 11 Eastern on We Act Radio.